The UMD and Smithsonian seed grant program aims to solidify and support research collaboration between the two institutions. My spring application to the program was successful, and starting this fall, I will be carrying out collaborative research with Brian Butler, Associate Professor and director of the MIM program at the Maryland iSchool, and Robert Leopold, director of the Smithsonian Consortium for World Cultures. The project is titled “Valuing Our Scans: Towards a Metric for Assessing the Impact, Value, and Use of Digitization and Digital Surrogacy for Ethnographic Collections.” We will develop a general framework for assessing the impact of digitized ethnographic collections. To achieve this goal, we will document and analyze the how key stakeholders articulate the value and perceived uses of existing digitized anthropological collections. Our research benefits from the insights and perspectives gathered from a diverse group of individuals currently involved in the preservation and access of heritage collections. These stakeholders include the heritage professionals and administrators working within institutions that house ethnographic collections, the source communities from which the artifacts originated, and the various target users of these digitized materials. This entry was posted in archives, news, research and tagged digitization, ethnographic photographs, grants, photographs, visual archives. Bookmark the permalink. 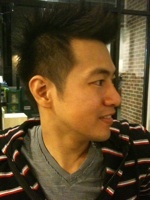 Ricky Punzalan is an assistant professor at at the University of Maryland iSchool. He studies relationships between archives and community memory, virtual reunification, and postcolonialism.